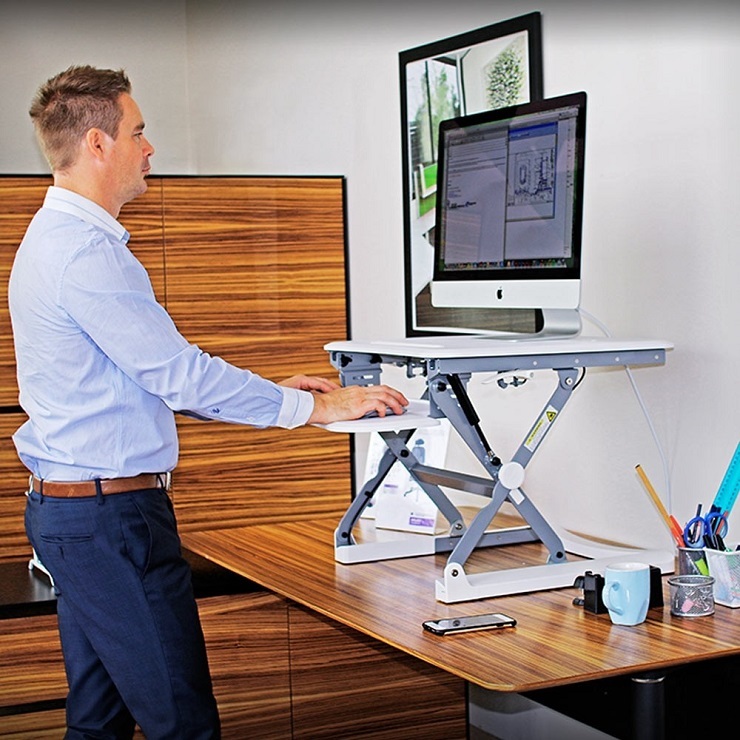 In the modern day office, standing while working is the new healthy trend. As more and more individuals have started realizing the benefits of standing rather than sitting while working, ergonomic standing desks have soared in popularity. Sedentary life is linked to an increased risk of diabetes, cancer and poor heart health. Furthermore, sitting for 8 hours a day combined with a poor posture and poor general health can increase your risk of developing musculoskeletal disorders. Standing desks allow you to alternate between sitting and standing while working which can have a positive impact on your health and productivity. So, if you are looking to move more often throughout the day and change postures frequently, an ergonomic standing desk will help you do that. When shopping for this type of desk, you will notice that not all standing desks are created equal, and different models adjust in different ways. Here’s what you should look for in an ergonomic standing desk. This feature will give you a flexible workstation that accommodates all of your needs. For example, when reading or writing you may prefer one height; when computing – another; when talking on the phone, another, and so on. This feature is a must if more than one person will be using the desk. 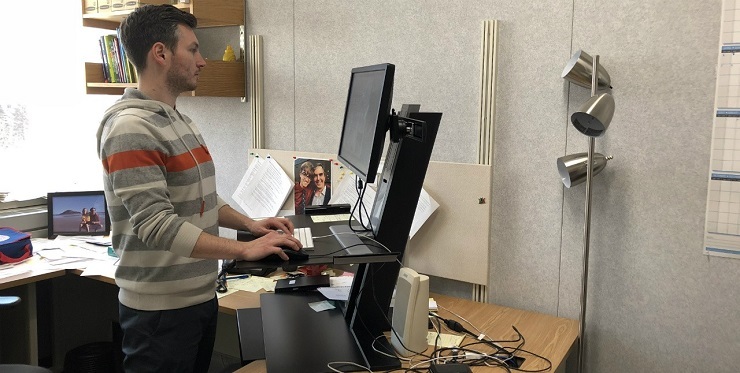 When it comes to how high or low you should go, I strongly encourage you to invest in an ergonomic standing desk that adjusts all the way from a sitting to a standing height. This way you will have the ultimate flexibility and support you need for a productive day at work. Remember that different standing desks will have different adjustment ranges, so choose according to your needs. Electric or pneumatic adjustment mechanisms are strongly recommended. Crank adjustments often require more work to get them properly adjusted, and few users have the patience to do that. However, if you choose a standing/perching design, a crank mechanism will work just fine since the adjustment range is limited. As long as you select a height-adjustable desk that can comfortably accommodate you whether sitting or standing, you won’t need a footrest. However, if you are a shorter person, or need to accommodate shorter people while they work in a seated position, you will definitely need one. Also, when standing, comfort can be increased by alternating the weight of one foot or the other on a footrest. If standing fatigue is a concern for you, a footrest may help.